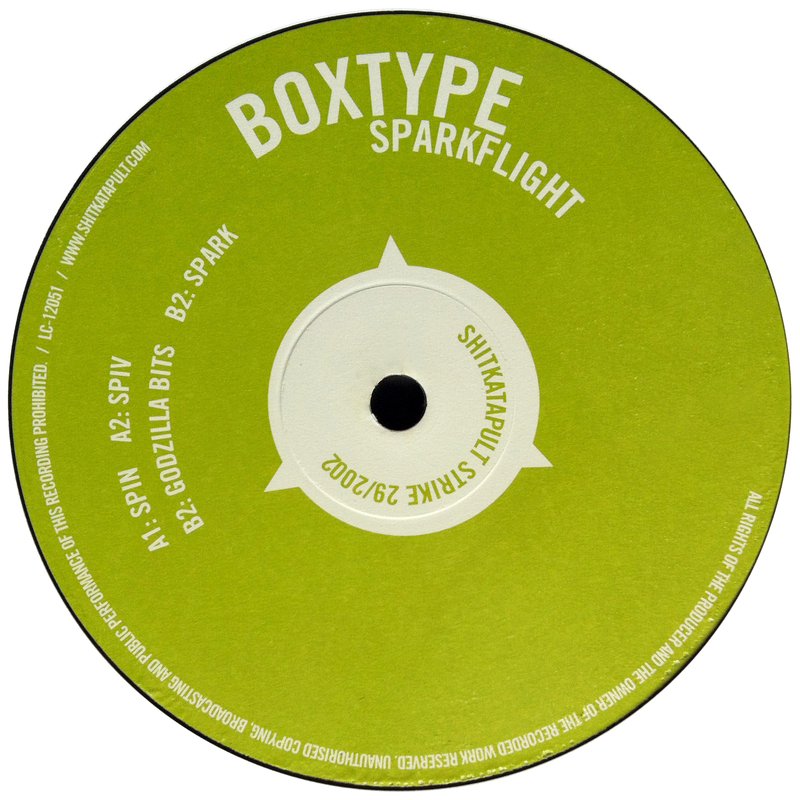 boxtype is back with another gnarz filled record!! 4 new tracks from one of shitkatapult’s heidelberg artists: bao-nghi droste. the new 12“ maintains the stylistic approach of his first release ‘goiter‘ with no strings attached. this ep ‘siderailed shitkatapult to the point where it rolls on into evermore scurrilous and crackling sounds‘ (de-bug.de). MORE scurrilous!!! the bassline rises from way below the remains of a dub line to hit the high-end above the dial and combust into bits. in between one can sense a magnet pulling extremely fine strings along. frequencies are pulled to and fro until sparks fly -- hence the title ‘sparkflight‘. this phenomon can be heard best in the track titled ‘spark‘ (b2). this is error-tech at its best. enjoy the listening experience.